It's been a minute. Refresh our memory on what brought you to SLC from your beloved Austin, TX? Was it Colmena Group? Or did the job come after the move? 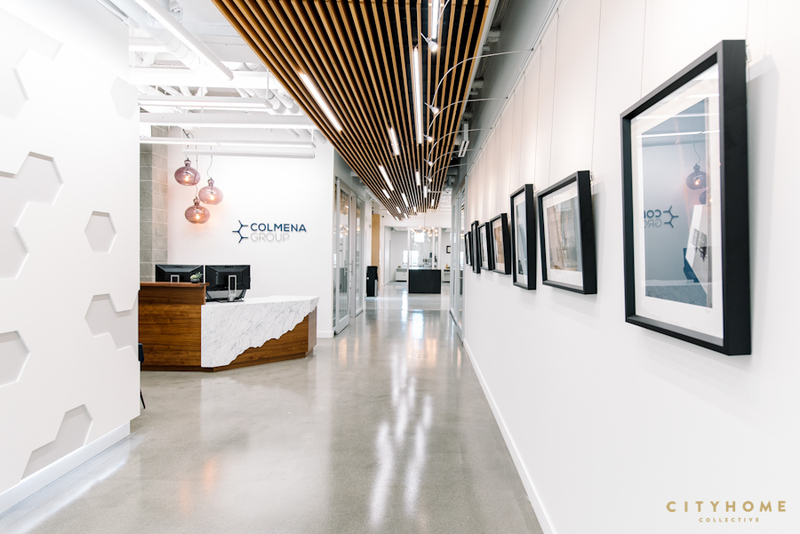 I moved to SLC for this opportunity with Colmena Group. Lance convinced me to come out here to help him for 3 months...that 3 months has turned into 7 years. Now I have a wife, a house, and a kid, all rooted in SLC. You folks have been in business for over 25 years, and we were excited to help with the aesthetic overhaul. 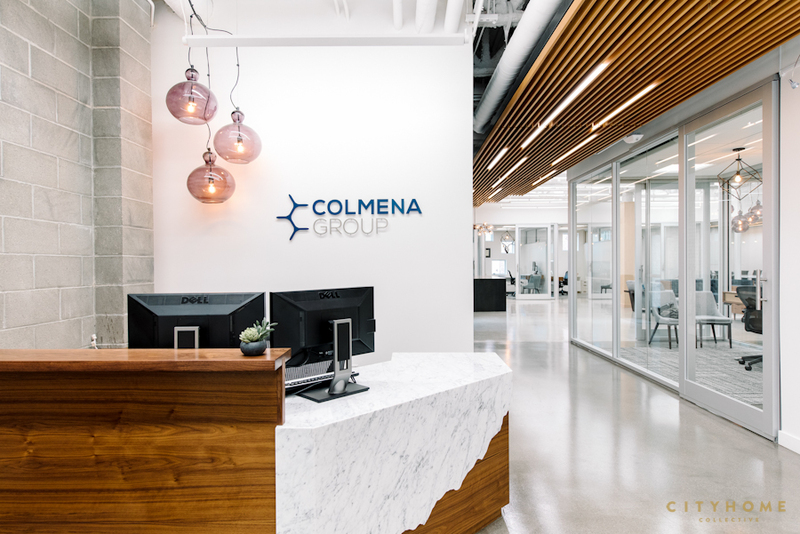 But before we dive into the design, tell us this: what do you think makes Colmena tick after a quarter of a century? You've got a few years on us. Why does it work? The principal of our company, Jonathan Bullen, has been in the real estate business for 25 years. With that, he’s experienced several real estate cycles, and he's got a lot of patience when it comes to real estate deals. I think that’s key. On the other side of patience is persistence, however. You have to know how to tread the balance between both those traits in order to find solid opportunities. When we toured the space with you all, it was nothing more than an empty shell, which is an exciting undertaking for a design firm. What stands out most to you about that first day we toured the location that is now your beautiful (if we do say so ourselves) office? I’m still very impressed with the initial vision that you all had for our space, specifically with regards to punching a few holes into a concrete wall to let some light in. It was a great idea, and we were--fortunately--able to get it approved by the structural engineer. 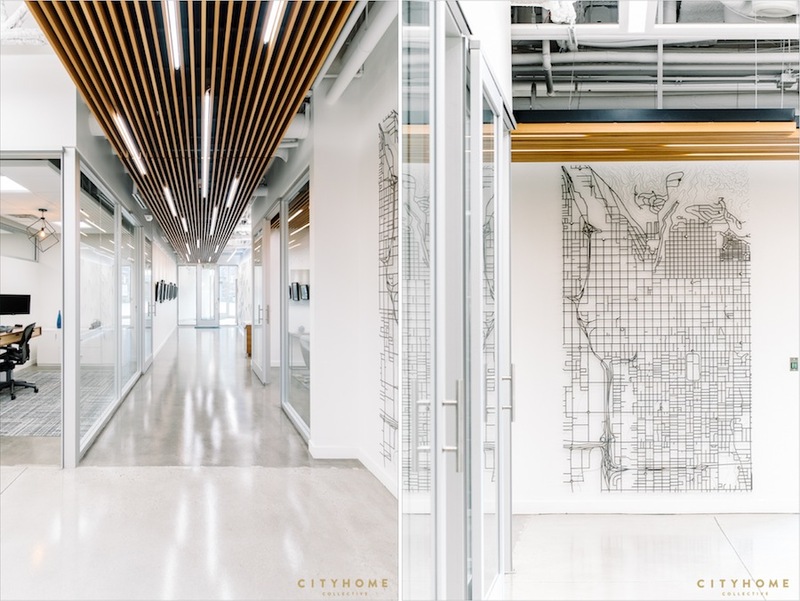 It not only adds a lot of light, but when you step back and look at that wall, it also adds an artistic component to our office. Any advice for would-be businesses that may be on the verge of a full-blown office design project? Be flexible. You may start off with a specific idea in mind, but I learned early on that I had to be flexible in order to accommodate other people’s opinions, our budget, and project timing. 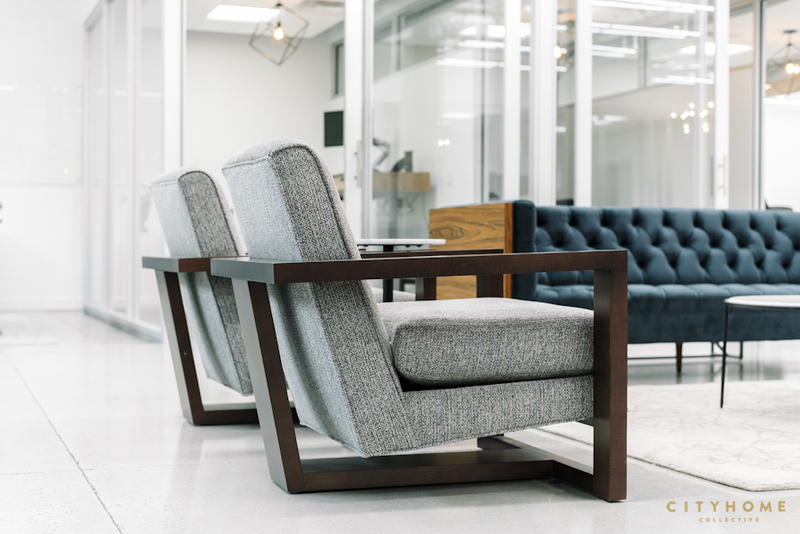 This isn’t new in the industry that we’re in, however, it’s a different beast when you’re working on a project for your own office. Do you think the team interacts differently in this new space, as compared to the old one? Yes, for sure. This was the impetus behind the new space. We all wanted to interact differently--more openly--with one another. 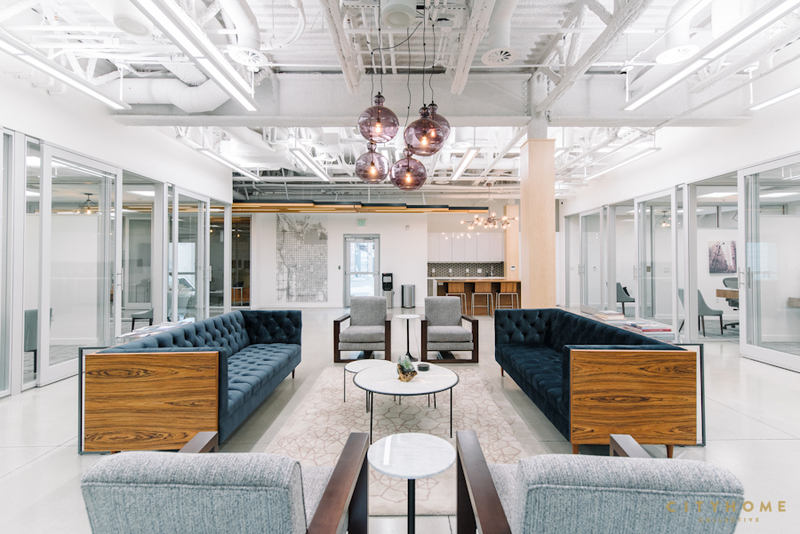 The layout of the space lends itself to fewer meetings, more communication between team members, and much more inclusivity. 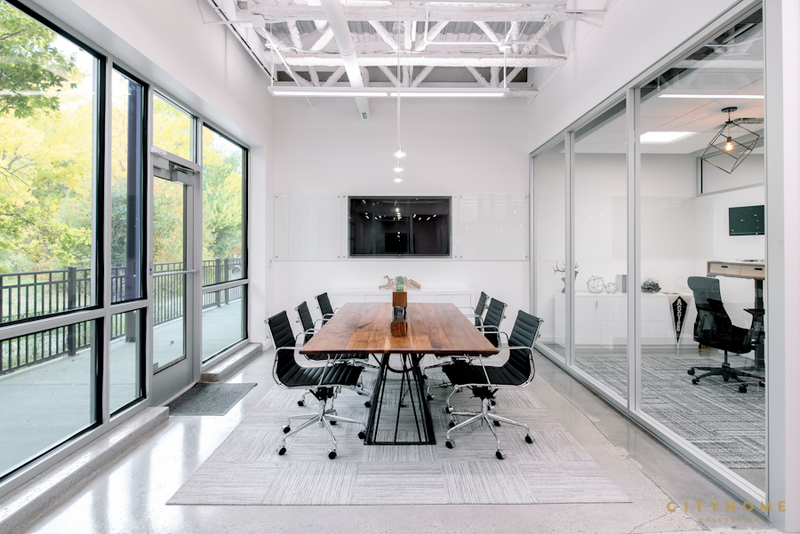 We have the ability for our partners and associates to come work out of the new office, which fosters better and more frequent collaboration. 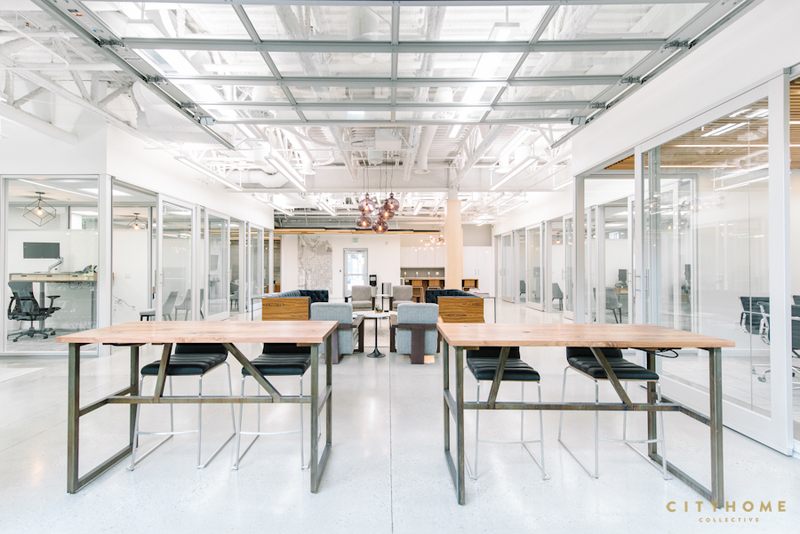 Describe the overall feeling of this shiny, new joint: The first word that comes to mind with our new space is CLEAN. Not that we had dirty offices previously, but the overall look of the new space is clean. Clean lines, smooth look, fresh feel. I feel like I just described a new body wash. The office is also OPEN. 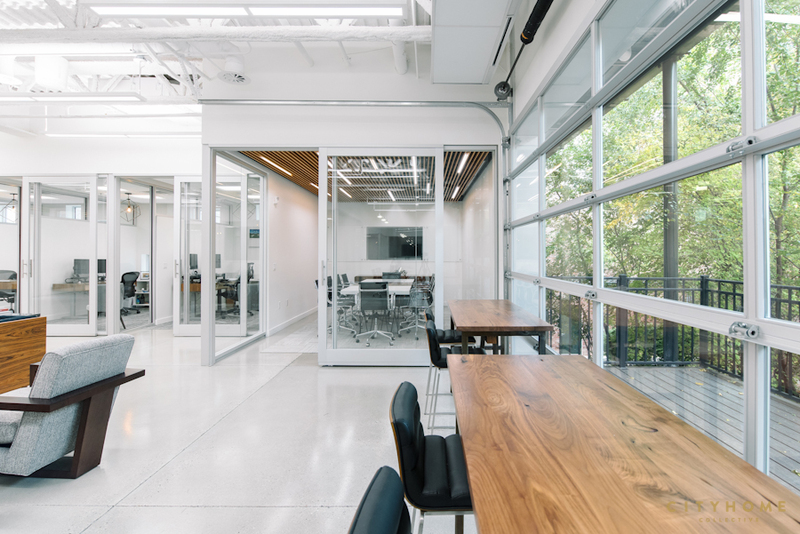 The combo of the glass with the open meeting space makes our relatively small office feel a lot bigger than it really is. MODERN. The look is modern and more reflective of us as a group. 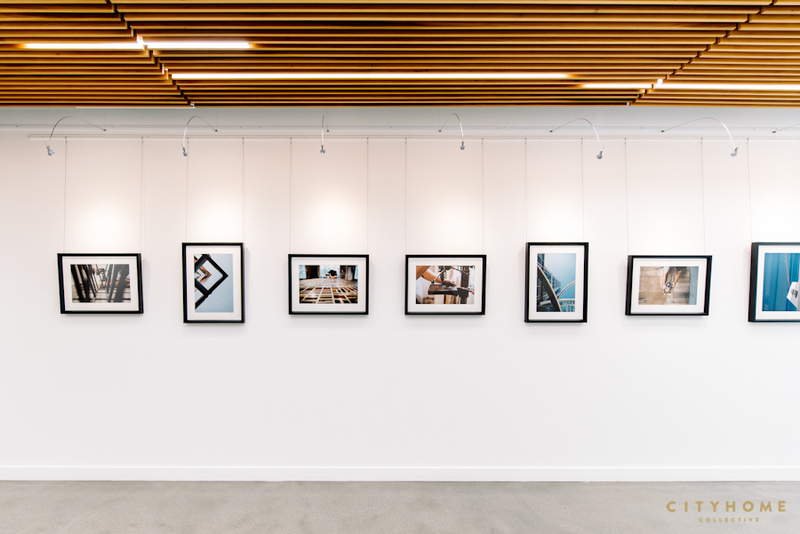 Our old office was space that we moved into and we inherited the design that was already in place. 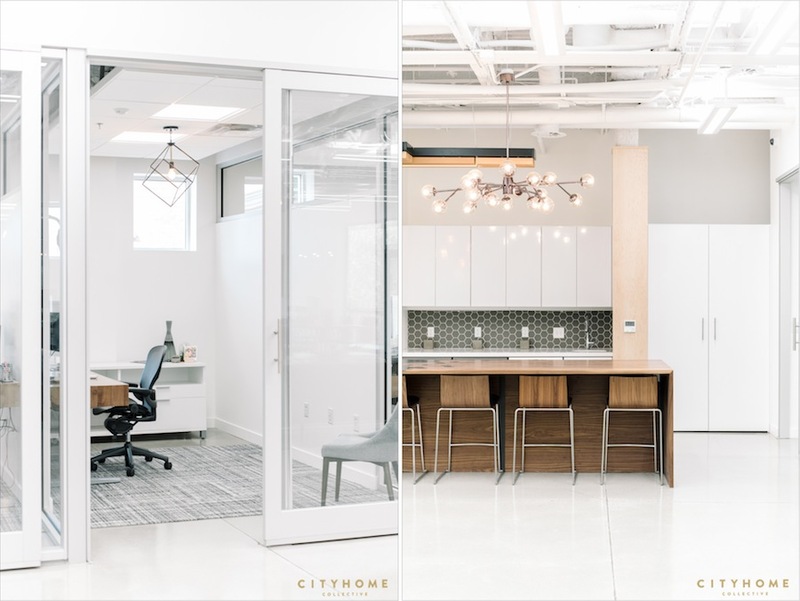 With our new space, we were able to have the design be more representative of us and the way we work. Any philosophies you can share on creating a productive work environment? One of the key elements was the functionality of everything. We are productive in different ways (working alone, working in groups, formal meetings, informal meetings, sitting, standing, etc.) and we wanted to have space that was conducive for all of those activities. Therefore, our furniture and office space had to be multifunctional. 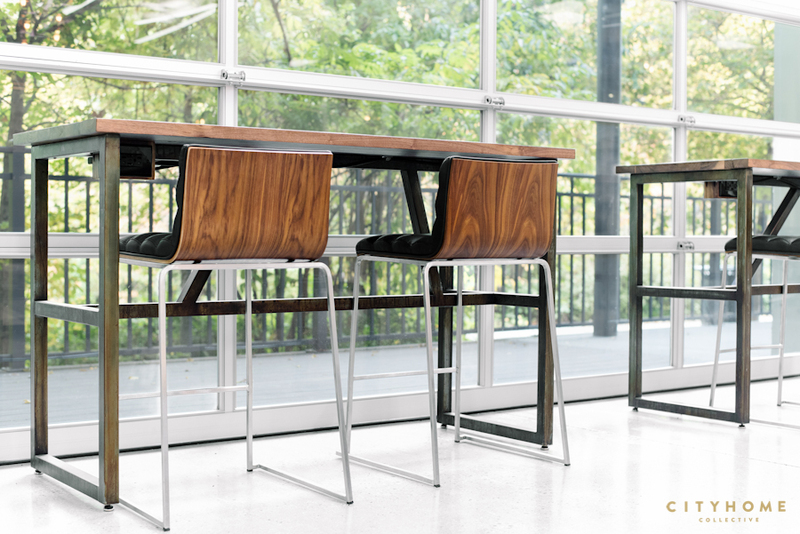 Our plans table serves as a standup meeting area as well as a bistro spot where we can sit to have lunch. 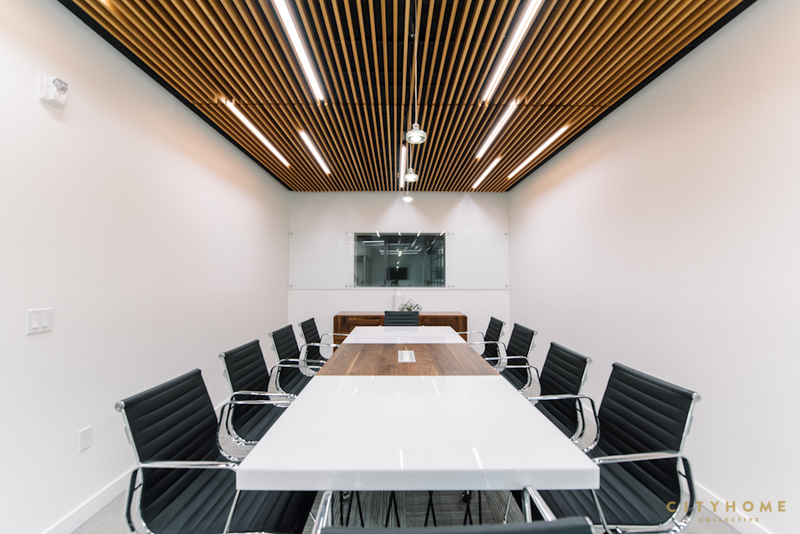 Our open conference area can go from a conference table to a multi user work station. 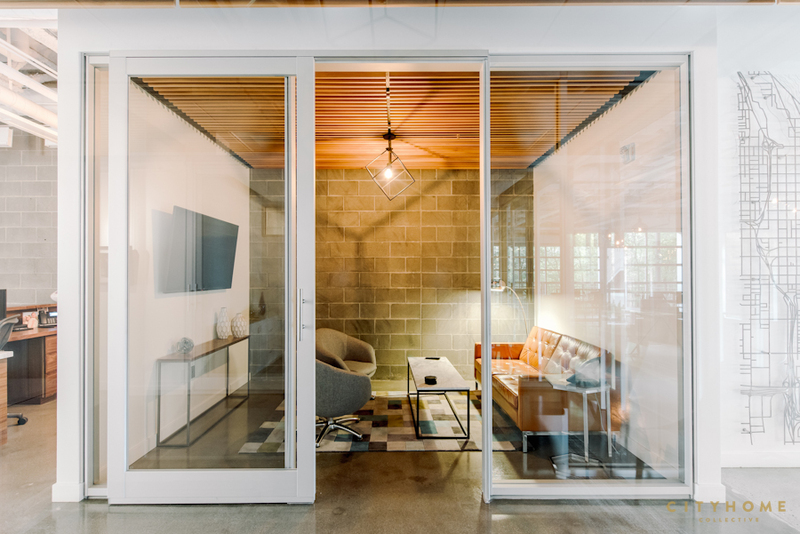 We have our living room setup where we hold most of our meetings, but we also have a private conference room which lends itself to private meetings. 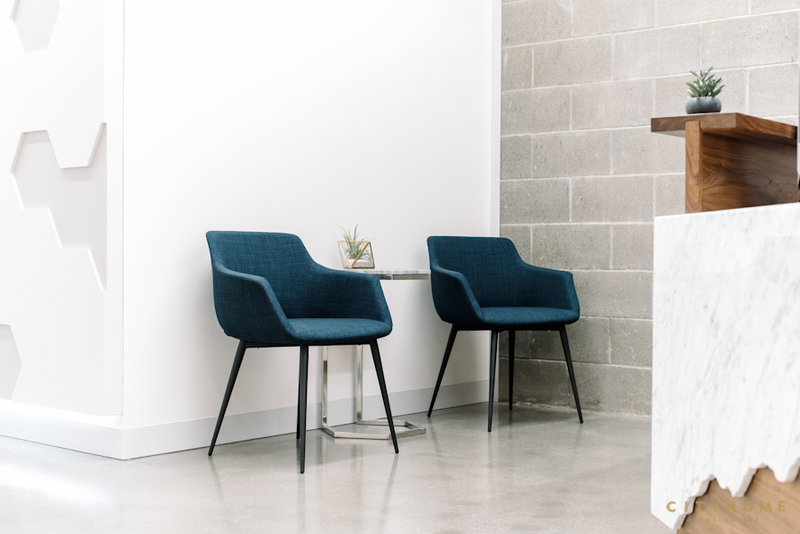 Our huddle room allows us to have small private meetings, our kids a quiet place to do their homework when they drop by the office, or it’s just a space where we can relax and watch TV. Even our individual desks are multifunctional. We can work sitting down or standing up at the push of a button. So we tried really hard to maximize the functionality of our space and everything in our space. Speaking of productivity, Colmena is killing it lately. Any one undertaking or project that you are most proud of? 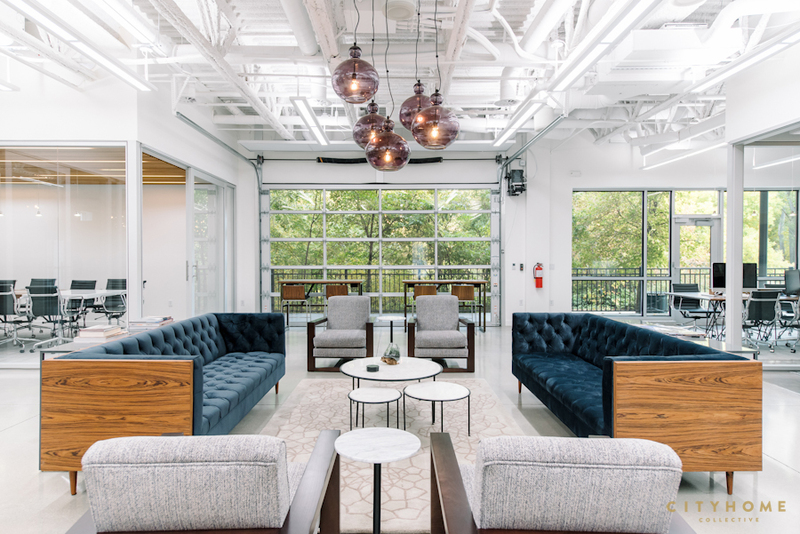 We’ve done some really cool projects from industrial developments that are changing the way distribution and warehousing companies utilize their space to senior housing developments that are providing today’s seniors with a new lifestyle. I’m really passionate about our redevelopment that’s taking place in Sugar House. So far we’ve built three buildings in the area: student housing for Westminster; a mixed use development with apartments, office space, retail, town homes and a large community plaza; and a 10 story urban senior housing development. We are in the planning stages of a hotel and have a few other developments that we want to pursue in the neighborhood. We’ve been able to revitalize an area of Sugar House with these projects and it’s been exciting to see these developments help transform the area. Anything on the horizon that we should know about? Anything that should have us on the edge of our COLLECTIVE seats? Stay tuned for two new projects coming downtown. One is a European inspired hotel called the AC. The other is a modern apartment development called Milagro. Both projects will be great new additions to our rapidly changing downtown. When it comes to Salt Lake City, what is it that you're most excited about? I’m most excited about Salt Lake’s potential. Even during the 7 years that I’ve been here, I’ve seen the city evolve. We’ve added some great new developments all over the valley. 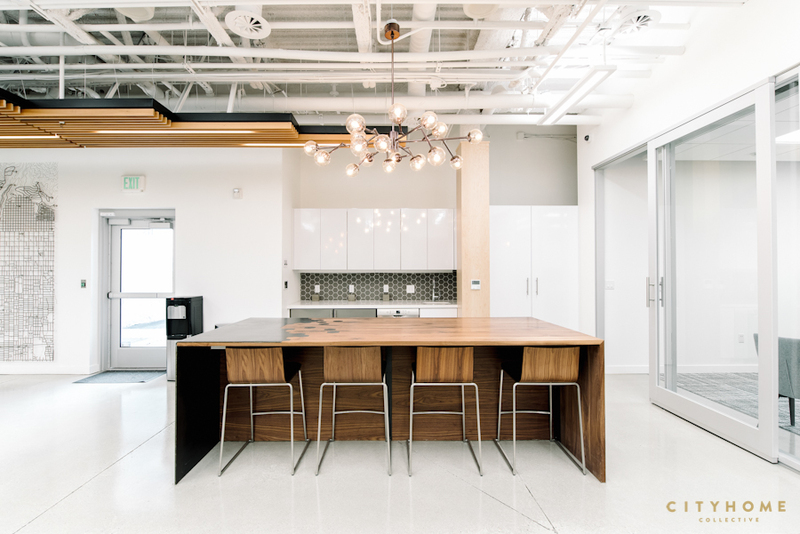 There are new multifamily buildings that provide residents with opportunities for an urban lifestyle and put to rest the notion that SLC residents are reliant on a car. 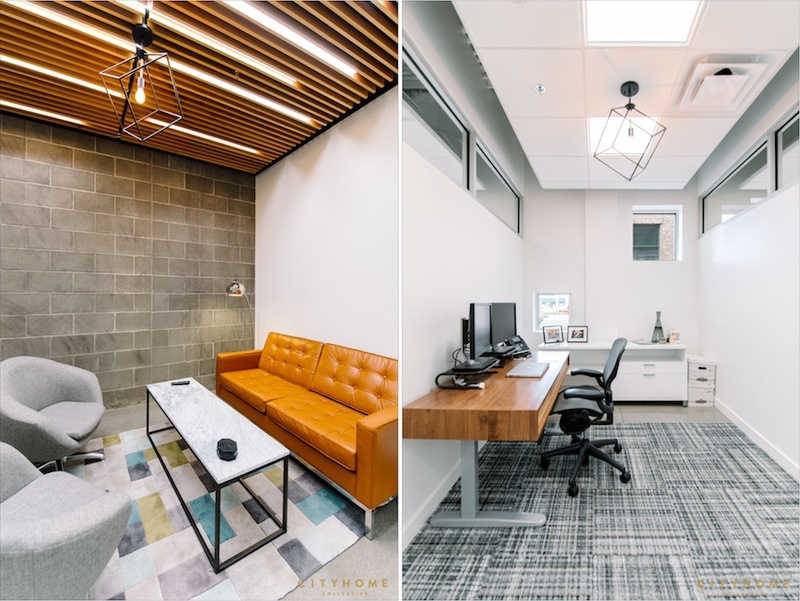 New office buildings that are providing workers with healthier work place environments. We’ve had a tremendous number of new restaurants open up (several of which you all had a hand in designing!). There’s a brand new performing arts venue on Main street that rivals some of the best venues in New York. It’s been incredible to witness all of this growth and development and I’m just excited to see what else Salt Lake has in store for all of us. It’s an exciting time to live in this city and I feel so fortunate to call this place HOME.